As mobile brands continue to upgrade their devices, smartphones become more powerful than ever. Right now, smartphones are not only limited to basic communications and online surfing as they can also be your next gaming buddy. However, unlike typical consumers, gamers are very particular about smartphone’s display, battery life, overall performance, and its price. Good thing, there are tech manufacturers that deliver great devices with an affordable price tag – just like the Vivo V11, which has trendy features and capable specs that can handle mobile gaming. To begin with, the V11 flaunts a 3D Body that allows users to hold the device comfortably and smoothly. It sports a 6.42-inch Super AMOLED FullView display, too, which has a tiny notch dubbed as Halo. 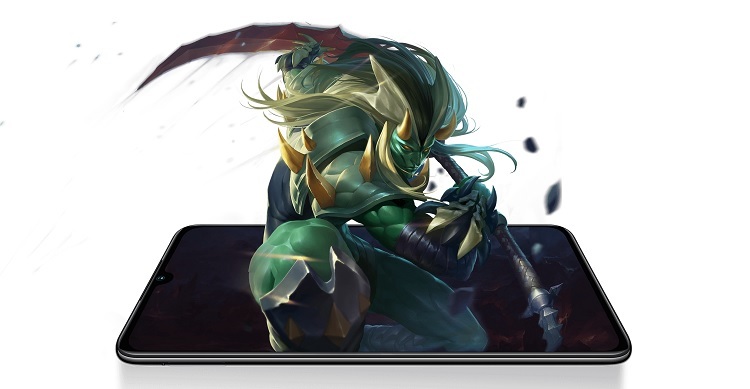 Giving off a 19.5:9 aspect ratio and an impressive 91.27% screen-to-body ratio, the device offers vibrant and accurate colors that could match every game’s graphics. Under the hood, it carries a Snapdragon 660 chipset coupled with 6GB of RAM and 64GB of internal storage. This enables users to boost multitasking and run games with heavy graphics flawlessly. Powering up the V11, on the other hand, is a 3400mAh battery that supports Dual-Engine Fast Charging technology. To complement everything, the Vivo load the V11 with AI features that elevate its hardware specs to accompany users on their mobile gaming. The device also has an AI Game Mode, allowing gamers to do other activities without leaving the game. 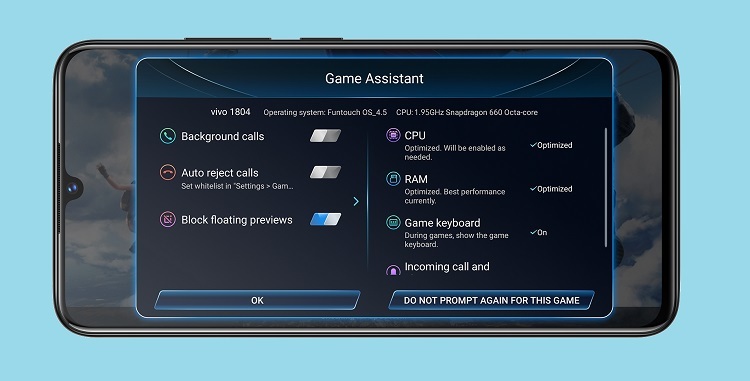 Its new Game Assistant keeps some functions including the Floating Call Alerts, Background Calls, and Game Keyboard. It has an Auto Gaming Mode, too, that will keep the game running in the background without losing gamer's progress. The Vivo V11 is now available in the Philippines for only Php19,999. You can check our review here.